I wouldn't use anybody else, you don't have to worry about them. They are very professional and they know what they are doing. They are very knowledgeable and I don't have to babysit their work. Paradigm and Jose and his crew were incredibly professional and they did exceptional work. They have a good attitude, they get the work done quickly, and they do an excellent job. Grab them while you can as they do get busy. I would give them a ‘10+’. The owner takes pride in his work being done well and he had a tight ship and he watched over his people. He had experienced people who worked for him for a long time and they checked in with him if they had any questions. They were very professional and very nice people. It was a tight ship. 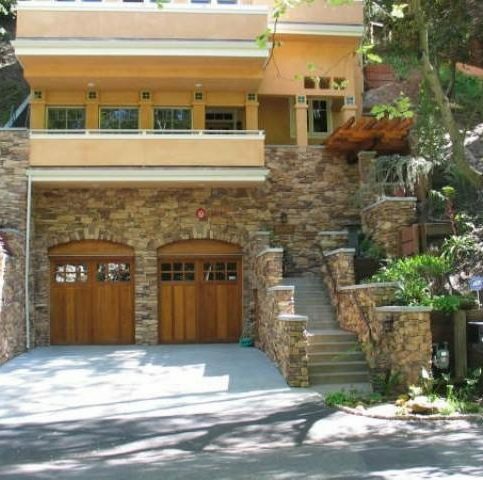 Paradigm Concrete & Construction, Inc. offers a variety of concrete and masonry services to residential and commercial clients in Alameda, Contra Costa, Marin, and San Francisco Counties. In addition to installing and replacing concrete sidewalks, patios and driveways, the company holds a C-8 specialty license that allows it to work with materials such as exposed aggregate, slate, tile and brick. It can also provide integral or surface colors and finishes, including broom, sponge, sand, natural wash, stamp and overlay. Paradigm Concrete & Construction is also a member of the San Francisco Chapter of the National Association of the Remodeling Industry (NARI), an independent association that sets industry standards for conduct, integrity and workmanship. DIAMOND CERTIFIED RESEARCHED CAPABILITIES ON Paradigm Concrete & Construction, Inc.
Company Name: Paradigm Concrete & Construction, Inc.
DIAMOND CERTIFIED RESEARCHED ARTICLES ON Paradigm Concrete & Construction, Inc.
Paradigm Concrete provides its clients with a realistic timeline and then commits to it, which allows the company to coordinate seamlessly with other contractors on a project, says Mr. Salazar. Years of experience have prepared him to help clients handle site preparation problems that may arise before a project begins. His comprehensive project management skills help his teams diagnose any issues and recommend good solutions. They can often identify potential drainage or structural problems at a project site, such as surface water, natural water channels and waterproofing. Before work begins, they may recommend additional site preparation work or plan design changes to help clients avoid spending money on unnecessary work. Rather than risking the pitfalls of wire mesh or other less-reliable solutions, says Mr. Salazar, Paradigm Concrete uses rebar structural support for most projects. 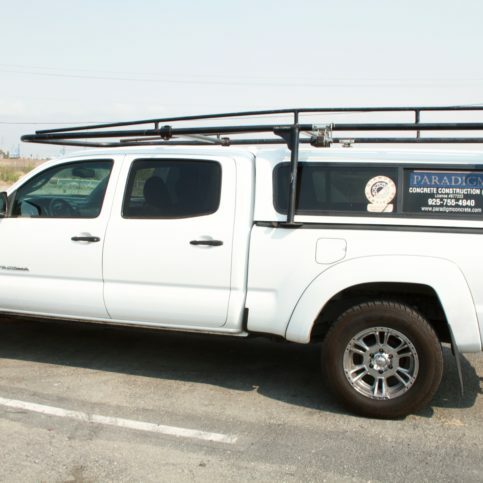 It also pays close attention to safety at worksites, using an array of barricades, safety barriers and tape. Many clients appreciate the crew’s use of company-owned dump trucks, says Mr. Salazar, which makes daily removal of demolition material and construction debris a simple task. They’re able to avoid using parked dumpsters in front of a house, which are often unsightly and occupy valuable parking areas. • Like any other professional, many contractors have strengths and weaknesses. If you need a retaining wall, then hire a company with that experience rather than one that specializes in driveway and patio work. • Consider getting recommendations from other owners who’ve had recent projects that you’ve noticed in your area. Your trusted local carpenter or construction contractor may also have masonry contacts to suggest. • Take time to get three bids in writing based on your actual project needs. Don’t choose by price alone; consider the other points made here regarding specialization and recommendations. Taking shortcuts could cost you more in the long run. 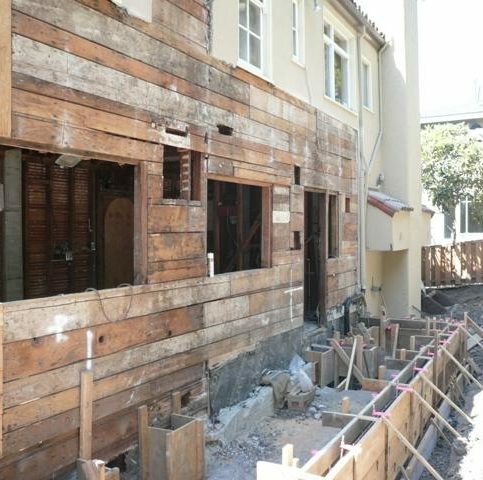 • Don’t hesitate to ask for proof of a contractor’s license and insurance—they’re required to work in most areas. You want to be sure a company’s employees are covered while working on your property. • Review sample work whenever possible to help build a trusting relationship with a contractor. Professional contractors should encourage it. Q: How long will a job take? How much will it cost? A: Both of these questions should be answered at the time of the inquiry and stated in writing. For some standard jobs, cost and time specifics can be quoted by simple footage requirements, while other, more complicated projects demand specific cost and time quotes based on site inspections and other variables. Q: Can I look at sample colors and finishes? A: Yes. We can provide samples of colors and finishes for concrete. We can do integral or surface color and finishes, including broom, sponge, sand, natural wash, stamp, overlay, and additional score lines for decorative patterns. 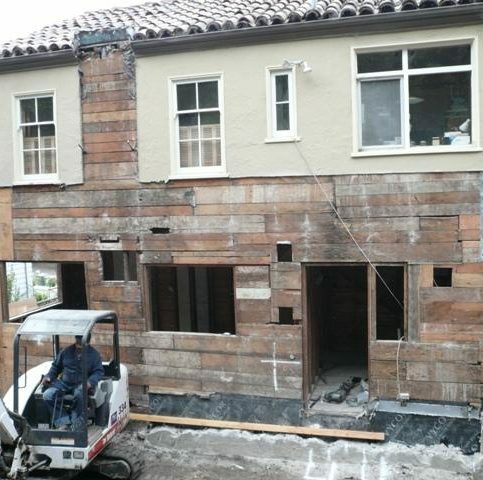 Or we can cover the concrete with wood, tiles and other materials. Q: What safety precautions can I expect? A: We have a stable work crew that’s been trained in our safety standards, and we use our own tractors, dump trucks and excavators so we’re not learning the intricacies or idiosyncrasies of different equipment every time. We’re also LEED-certified, so we work with the Environmental Protection Agency and use trained supervisors and workers should LEED practices be involved on a site. Q: Can you show proof of insurance on-site? A: We readily supply proof of workers’ compensation and liability coverage, and we’re bonded and licensed. Q: Can I see samples of your previous work? A: Our website has a gallery of our work and a page with a past project list, including addresses and a brief description of the work. It’s a comfort for new customers to see we have so many completed projects over so many years. It lets them know they can trust us to provide great results and a good experience. SELECTED PHOTOS FROM Paradigm Concrete & Construction, Inc.
Paradigm Concrete & Construction pays close attention to safety on the job. 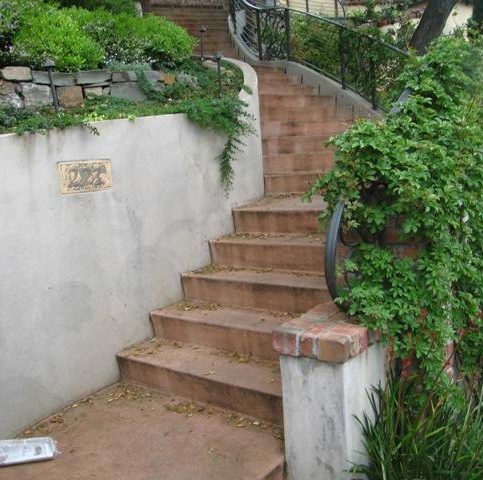 The company’s experienced team is able to identify potential drainage or structural problems. 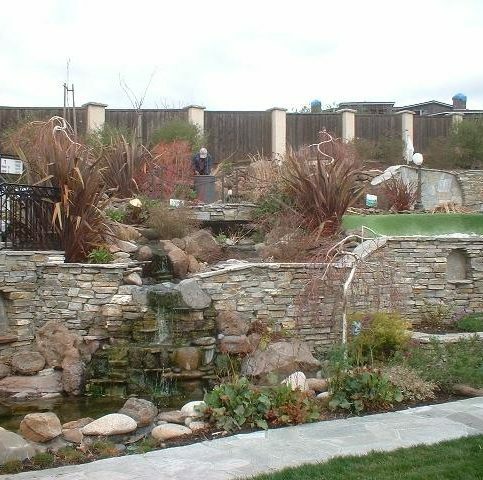 Paradigm Concrete & Construction builds retaining walls. 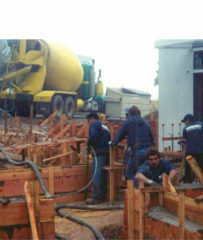 The company’s expertise includes architectural concrete work. 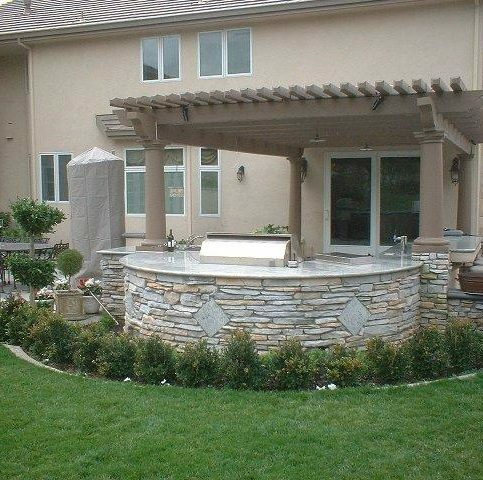 The company handles all aspects of concrete and masonry work. The company also handles driveways and foundation work. 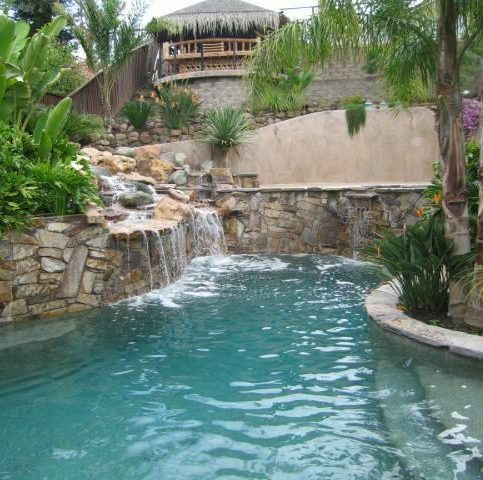 Paradigm Concrete & Construction also does swimming pool foundations. 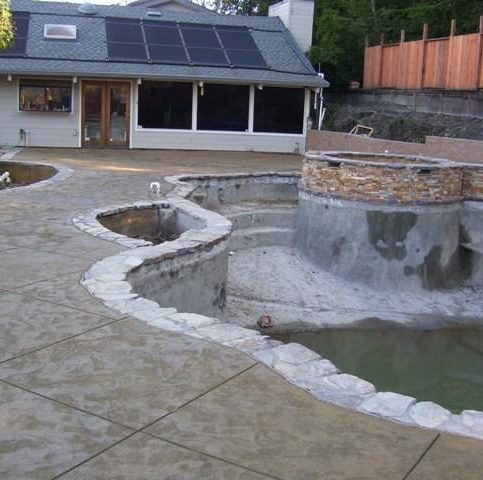 Paradigm Concrete & Construction handles drainage, waterproofing and excavation. 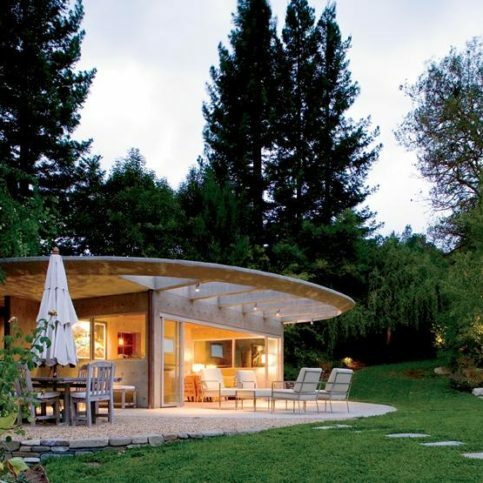 The company is licensed to work with materials like exposed aggregate, slate, tile and brick. Paradigm Concrete & Construction builds patios. 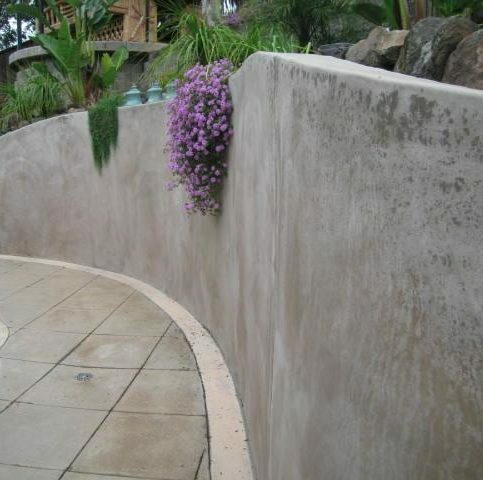 Paradigm Concrete & Construction provides integral or surface colors and finishes. Paradigm Concrete & Construction is able to custom-build unique projects. Paradigm Concrete & Construction emphasizes cleanliness on the work site. Paradigm Concrete & Construction is a LEED-certified company. Russell Calhoon is project manager at Paradigm Concrete & Construction, Inc., a Diamond Certified company. He can be reached at (925) 385-8993 or by email. A resident of Martinez (where he lives with his partner, Lanakila), Russell spends his time outside of work on a variety of active pastimes. “My main activity outside of work is bocce ball,” he details. “I belong to the Martinez Bocce Federation and I’m a two-time national champion—I won titles in 1996 and 2003. I also enjoy sailing, which I’ve been doing all my life. I got my sailing license when I was nine years old.” Additionally, Russell enjoys going to the movies and spending time with his two adult sons, Alex and Ryan. A: The Warehouse Cafe in Port Costa. They have awesome prime rib. A: Hang out with Lanakila and watch a movie or play cards. A: Neither—I like being in the moment. A: I collect Mexican folk art. A: Tahiti. My father planned to sail there with me when I was a kid and we never did, but I’m still planning to get there someday. This is a critical aspect of any concrete project. When water isn’t able to properly drain from the area beneath and around the installation, it often leads to cosmetic problems and even premature failure. 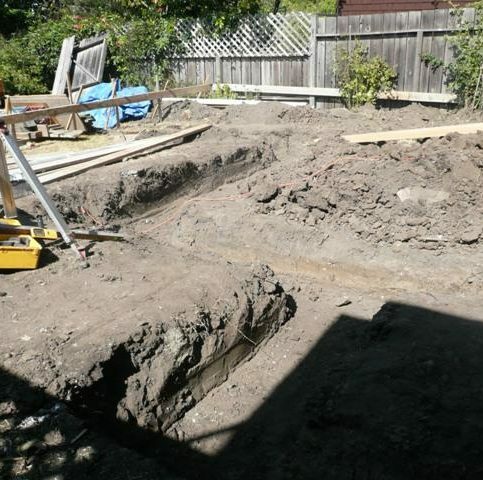 Prior to the job, your concrete contractor should make sure there’s adequate drainage for the installation area. If there isn’t, the issue will need to be addressed before moving forward. 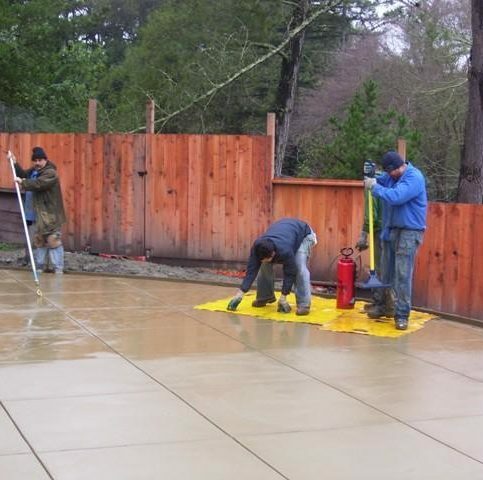 After your concrete installation is in place, you may feel inclined to hose it down to prevent cracking. However, if you do so, make sure you do it at night and never during the daylight hours. If you hose off your concrete during the day, the water will dry up on the concrete and cause a blotchiness or efflorescence. While this can often be cleaned off with a vinegar/water solution, it’s best to avoid it in the first place. Diamond Certified Expert Contributor, Russell Calhoon: If you have recently had concrete placed in your home, it’s not a good idea to hose down the concrete the next day in the daylight hours. If you feel like you want to cool it down, which is a good idea to help prevent some cracking, it’s best to do it in the evening, when the water can’t dry up on the concrete and create blotchiness or efflorescence. You can clean some of this off yourself. You can try, using a solution of vinegar and water, which is a safe way to do it. If that doesn’t cut it, if it’s more severe than that, you should call a concrete professional to clean your concrete and then have it sealed. Diamond Certified Expert Contributor, Russell Calhoon: So, when I go out to a job to look at a project, the first thing I look at is to try to find where the water goes. So, I will walk up to your house. I will see if there are drains in the curb. And if there are not, then we know that we have to try to get the water away from the house. A lot of problems are created by poor drainage. So, you need to make sure that your [00:00:27 unintelligible] slab concrete can drain. So, it doesn’t create blotchiness. Also, that you get water away from your house to protect your foundation and your long-term investment. Diamond Certified Expert Contributor, Russell Calhoon: Most concrete contractors have a minimum job that they will do. Let’s say it’s, you know, $1,500. Well, you might only have 1 small project that you’re thinking about. Then you believe that that’s not – it’s too much money for a $1,500 job. So, it’s best to look around and see if you can find other projects you can do at the same time to get more value for your dollar. Jose Salazar is officer of Paradigm Concrete & Construction, Inc., a Diamond Certified company since 2008. He can be reached at (925) 385-8993 or by email. A: I enjoy reading motivational books by authors like Joel Osteen. 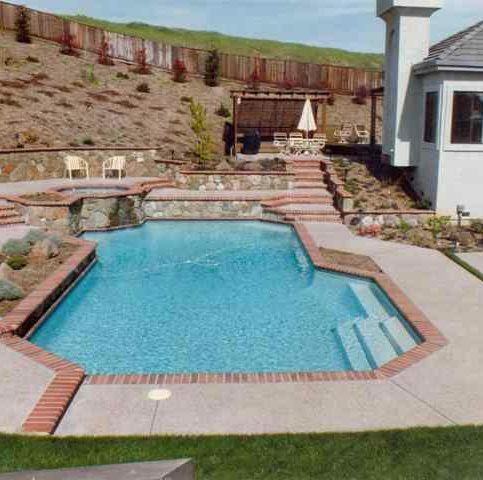 ANTIOCH — When planning to add a hardscape feature like a driveway or patio, some people automatically envision a conventional concrete or mortar installation. 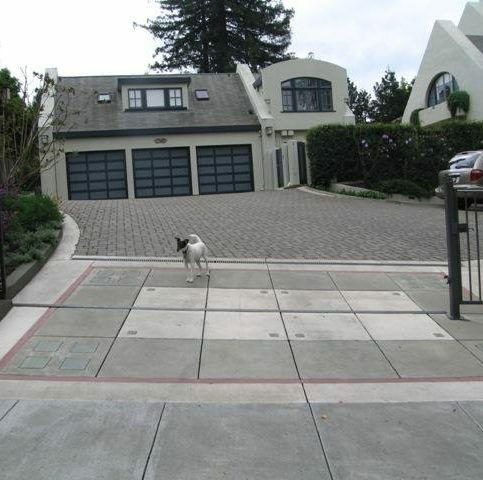 However, many home and property owners are turning to an alternative option: permeable pavers. The biggest advantage permeable pavers have over conventional paving methods is their environmentally-friendly composition. Due to their permeable character, the pavers allow rainwater to percolate down through the structure, which helps recharge the water table. This also reduces the amount of contaminants (such as motor oil) that end up in local streambeds—while these contaminants would normally be washed down nearby storm drains, permeable pavers allow them to trickle down to the soil to be broken down by the microorganisms therein. Other beneficial attributes of permeable pavers are the fact that they don’t restrict tree root growth like concrete and don’t form ice in the winter, which makes surfaces safer to walk on. Altogether, permeable pavers are a smart, ecologically sound choice for your hardscape installation. ANTIOCH — Host, Sarah Rutan: When planning to install a concrete feature, it’s worthwhile to learn about the basics of the process. To learn more, we’re in Antioch with Salvador Arteaga of Paradigm Concrete & Construction, speaking on behalf of Diamond Certified Expert Contributor Jose Salazar. Diamond Certified Expert Contributor, Salvador Arteaga: It starts with the preparation of soil, drainage, and grating. That’d be the start. Secondly, it will be the waterproofing which it consists of water — spraying with water and covering the concrete after it is poured. Take care after that. It will be the seal to protect from any kind of stains. Diamond Certified RATINGS ON Paradigm Concrete & Construction, Inc.
Paradigm Concrete & Construction, Inc. : Average 9.0 out of 10 based on 308 unique customer surveys of customer satisfaction. I would tell them that they are a fabulous foundation concrete subcontractor, and they would be lucky to have them do their project. They were professional and competent. They understand their work very well, and they are easy to work with. They work well with all of the other subcontractors. They have the experience, and they are able to communicate well with their clients. They are a subcontractor for me. If anyone is looking for someone to get concrete done and proper drainage, use them. The interaction with them was good, and they explained what to do to help with proper drainage, which was their expertise. They were prompt, and I loved seeing Salvador coming out to check on their work. They did a fabulous job. They were professional and experienced. I am passing their business cards around the neighborhood. They are professional and Salvador comes out to check on the job to make sure people are doing the right things. They were really good. They are fair, trustworthy, and they keep their work on schedule. They have attention to detail. They know what they are doing, and they are quick. They do a wonderful job. I would give them an "11". The guys just came out, busted up the old driveway, and took it away. They put in a new one, and it was on a slope, so it was tough. The owner is a very personable and very knowledgeable man. The workers are quite competent. We just had them do a small job for us, but I was completely satisfied. The work was good, but there was one small problem. They immediately fixed it. They are very personable and easy to deal with. They give a good estimate, and they have conscientious staff, but you have to be very clear about what you want. They did quality work, and they didn't do more than they had to do, which other contractors wanted to do. They are a great company, and they do excellent concrete work. They are an excellent resource for my company. The work that was performed was high quality, and it was on time. I have been using them for 20 years. They did everything right and more. They even gave me ideas if I wanted something changed. O. I. B. R. I.
I just like them, they are my friends. It is not cheap, but they know what they are doing and they do a great job. They go above and beyond what the job is supposed to be. They did good work and they helped with a few creative solutions to a few problems that I had.